Many aspiring filmmakers dream of creating their first film. The problem is that they quickly lose hope thinking about the cost of making one and all the different type of equipment that they will need. The cameras used in Hollywood movies are extremely expensive, so much so that we ordinary people simply cannot afford to get our hands on one. Naturally, people are afraid to have to spend lots of money on such equipment, without any assurance of getting it back. Thankfully, times have changed. Nowadays, you can make a film without having to get your hands on expensive equipment. You might be surprised to know that you do not even need to buy expensive cameras to shoot a film. Yes, you heard me. All you need is just your iPhone, yes, your iPhone. iPhone cameras are capable of filming movies that are of good enough quality that they will look the part. Let’s take a look at how you can use your iPhone camera to make your movie. Creating an iPhone movie is not as easy as it sounds. However, provided you put in the hard work, you will succeed. You can shoot any kind of film using your iPhone. You just need to consider the different factors that will affect your end product. As with any other kind of film, when filming an iPhone movie you need to make a plan and get organized. When planning your iPhone movie, you have to consider what kind of movie you want to make and how you are going to do it. Do you know how to operate your iPhone in all kinds of lighting settings? These questions are very important if you want to make a great movie. Before you start filming, you should have a clear picture of your movie and what each scene is going to take to film. Start by storyboarding the script. The better the script, the more chance you will make a great film. Know your characters before you begin writing. This way the script will almost write itself. Consider how you light each scene very carefully. iPhone cameras are not good low light, so make sure your scenes are brightly lit. If there is a need to shoot in a low light then you might consider getting a lighting rig. Contrast is also important when filming using iPhone cameras. You can use a diffuser or a reflector to enhance the quality of your scene. Remember, iPhone cameras have limited contrast adjustments. Sound is also very important when making a film using an iPhone. Mobile phones have tiny microphones which are not ideal for making movies. This means that you either need to shoot very close to your subject, or preferably, use a separate microphone. Top tip: Try to record sample takes first and listen back to see if the sound is okay. Another option is not to use sound at all, but rather to add a voice over in post-production. This is what director Werner Herzog did in his movie “The Unprecedented Defense of the Fortress Deutschkreutz”. Top Tip: When you start filming, clap loudly to give your editor a sound market with which to line up clips. Be sure you put your iPhone into airplane mode to avoid any distractions while you are starting to film your movie. This will also help save the phone’s battery too. Adjust your recording quality before you begin. Use 1080p HD as this is will mean that the image recorded is full high definition. Make sure to lock your exposure and adjust the contrast according to the lighting environment. 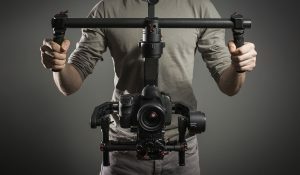 Get yourself a tripod or stabilizer to prevent image shaking. A shaky recording is annoying and will put audiences off. If you don’t have steady hands then get yourself a tripod to help ensure a steady recording. You can use the effects features in your iPhone to help you do some cool things. Slow motion and time-lapse are just two of the great features on there. After you finished filming, you will need to download your video clips for editing. Alternatively, you can use one of the editing suites available for the iPhone. There is an app in the Apple store that you can use to edit your video. It is called iMovie. If you don’t already have iMovie installed on your phone then use this link to download it. 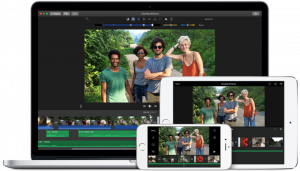 iMovie is an easy to use movie editor that allows you to rearranged your clip accordingly. You can trim your clips and add a range of effects including a voiceover. Using an iPhone is a cheap and easy way to get your movie made. 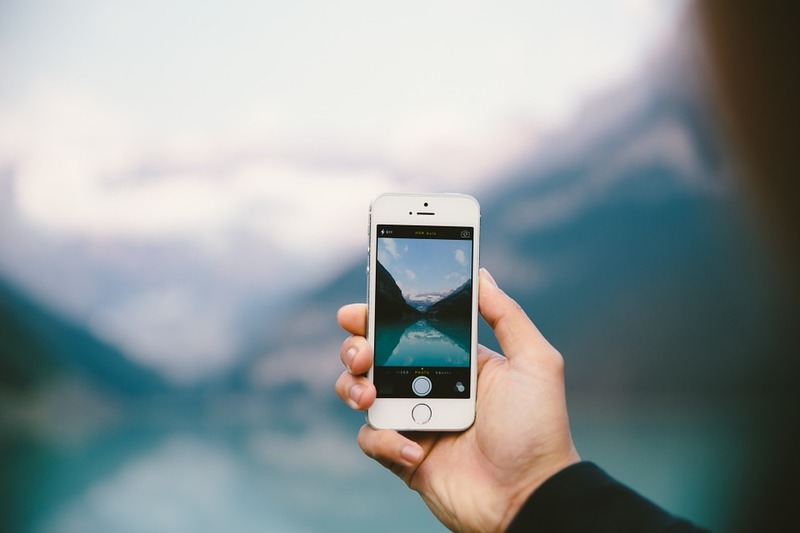 Portability is one of the main reasons that people such as travelers and bloggers prefer to use an iPhone over a normal camera when filming. 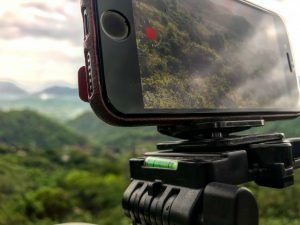 Since the iPhone has such a high image resolution and offers a range of powerful tools to help filmmakers get the end result that they want, it is easy to see why so many short films are being made with the iPhone. There are loads of films that have been made with an iPhone that has gone onto win critical acclaim. This amazing tool gives just about everyone the chance to get their films up on the big screen. So what are you waiting for? It is time to give it a shot!